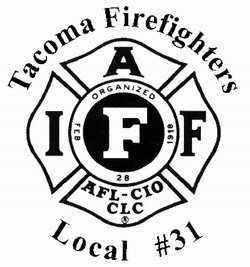 New Endorsement from Tacoma Firefighters IAFF Local 31! We’re proud to announce our newest endorsement from the International Association of Fire Fighters Local 31! After meeting this morning, they unanimously voted in favor of paid sick days for Tacoma! Firefighters are constantly exposed to chemicals that cause them to get sick, and understanding how important it is to not spread sickness to the public, they agree that everyone should have a day off and not worry about losing pay. We are proud of our local firefighters and are glad to have them on our team. Thank you Local 31 for all you do for us in the 253! ← Healthy Tacoma Welcomes New Endorsement from Pacific Grill!